Download iOS 4.2 GM for iPhone, iPad, iPod touch and SDK. 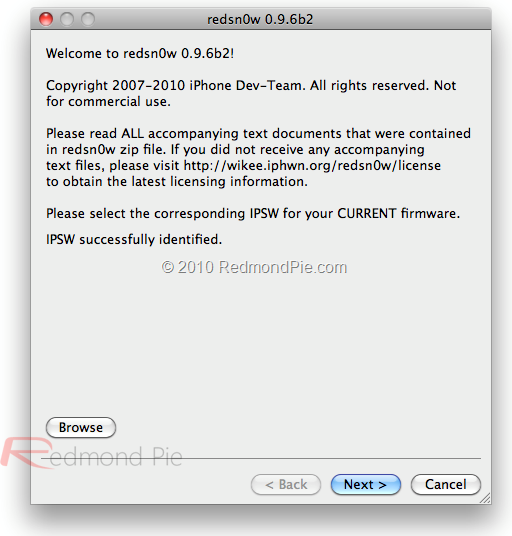 Step 1: Download iOS 4.2 & iOS 4.1 (required for Redsn0w 0.9.6b2) for your version of iOS device. 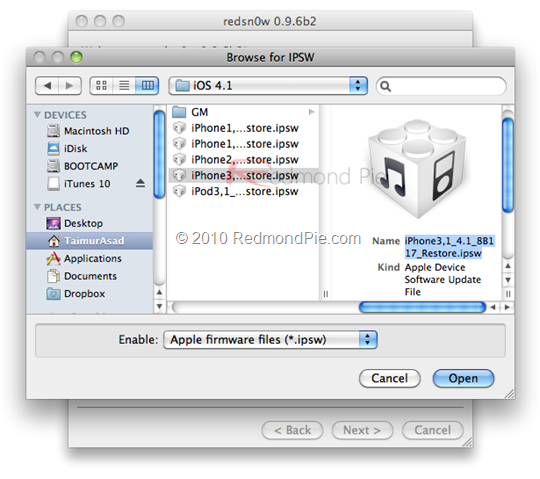 Step 2: Update to iOS 4.2 firmware using the IPSW file you just downloaded via iTunes 10.1 Beta 2. 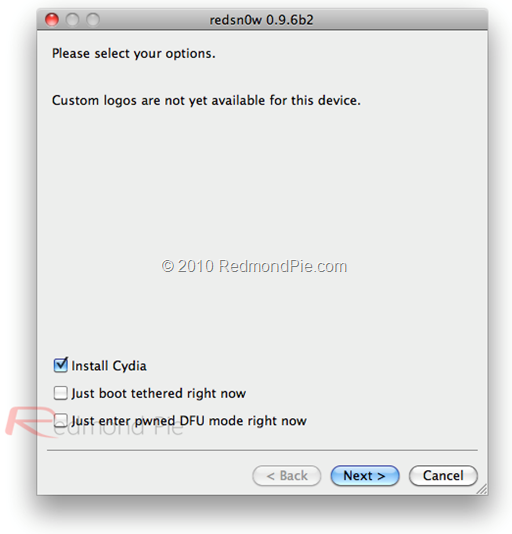 Step 3: Start Redsn0w 0.9.6b2 and point it to iOS 4.1 (Final Version, NOT iOS 4.2) to proceed with the jailbreak. At this stage you will be presented with a screen where you will have to quickly hold the “Power” button and while doing that, you will now have to hold “Home” button too. After a few seconds release the “Power” button but keep holding the “Home” button until installation begins. Step 6: Sit back and enjoy while Redsn0w does the rest. Once done, your iPhone, iPad and iPod touch will restart automatically, and you will find it jailbroken on the latest iOS 4.2 firmware. 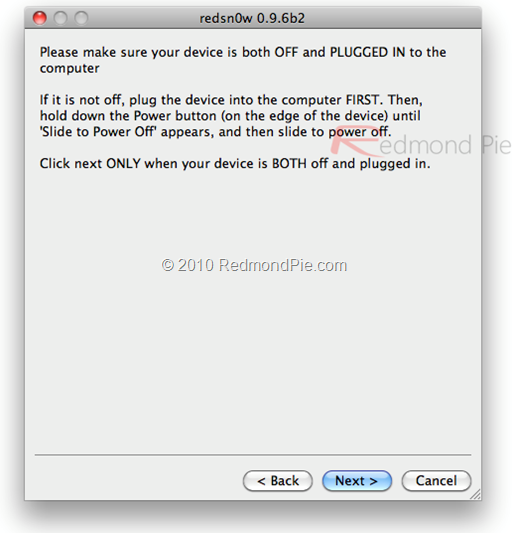 Note: The original author over at Redmondpie tried to jailbreak an iPad on 4.2 by pointing Redsn0w to iOS 3.2.2 , but it didn’t work. 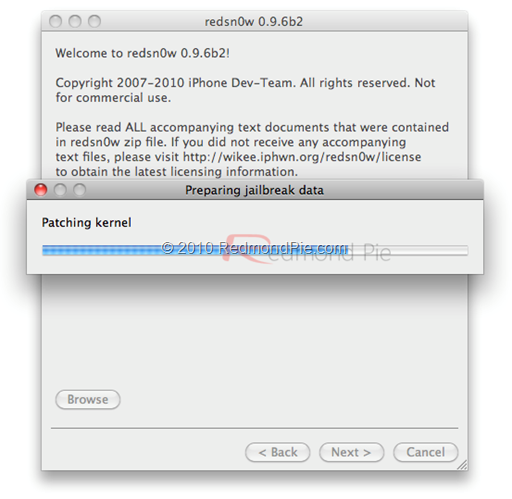 So except for the iPad, the Redsn0w jailbreak on iOS 4.2 is working fine on all iOS 4.2 Devices. For now.